Only 250 metres from the beach, Villa Stella M1 offers apartment with sea views and a private terrace or balcony. The restaurants and shops of Postira’s centre are a 10-minute walk way. Distance from food shop is 90 m.
Apartment include a fully equipped kitchen and living room. Garden furniture is provided on the rooms’ balcony or terrace. Guests can also have a barbecue in the property’s garden. This village offers a lot of beaches. Ferry Terminal is 8 km away from Villa. 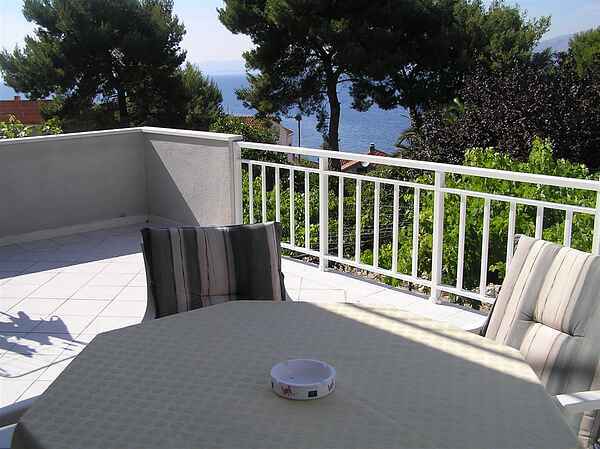 This apartment has big terrace with seaview.